BC Spot Prawns comes into season and can be easily found everywhere in Vancouver around May every year. During this time, the prawns are large, sweet, and succulent. 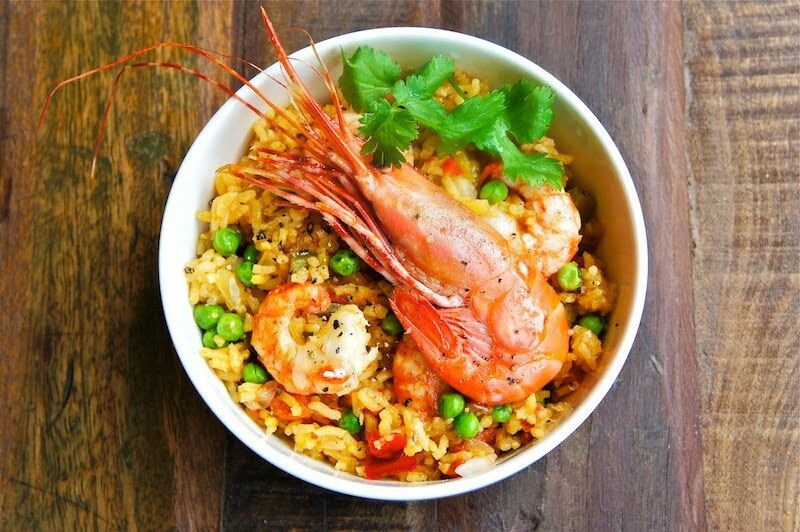 Anyway, I bought about four pounds of these prawns from my local grocer earlier this week to make this delicious Spot Prawns And Rice Jambalaya for dinner. 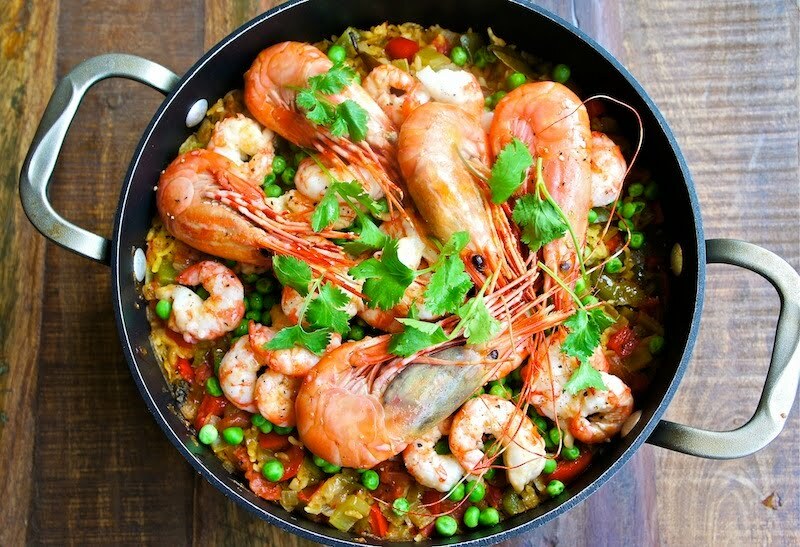 This is a wonderful one-pot rice dish that focuses on the sweetness and delicate flavors of the Spot prawns. There's no meat or sausage in the recipe. It's simply decadent! For the Spot Prawn Stock/Broth: In a heavy-based pot, heat 2 Tbsp of olive oil, add garlic, and give it a quick stir. When you can smell the garlic, toss in prawns and continue to stir until the prawns are almost cook. Transfer the prawns into a large bowl and let it cool slightly. Peel the prawns and reserved the shells and heads. Return the shells and heads into the same pot and fill about 6 cups of water together with the chicken stock cube, if using. Bring it to a boil, lower the heat and simmer for about 45 minutes. Strain the shells, heads, garlic, and discard. Heat the olive oil in a stockpot over medium-high heat. Add the olive oil, onion, garlic, celery, peppers, bay leaf, Creole or Cajun seasoning, oregano, with a little and pepper. Stir the vegetable mixture with a wooden spoon, for about 4 to 5 minutes, or until the vegetables are tender. Then add the rice, give it a good stir, and mix in the tomatoes and about 900 ml of prawn stock. Bring it to a boil, adjust the seasoning, and lower the heat to simmer, covered, about 15 minutes. Carefully top with peas and peeled prawns. Cover and simmer for another 8 to 10 minutes or until the peas and prawns are heated through. Fluff the rice mixture with a fork and serve immediately. I saw this picture on photograzing.seriouseats.com and had to come over to tell you that this looks BEAUTIFUL!